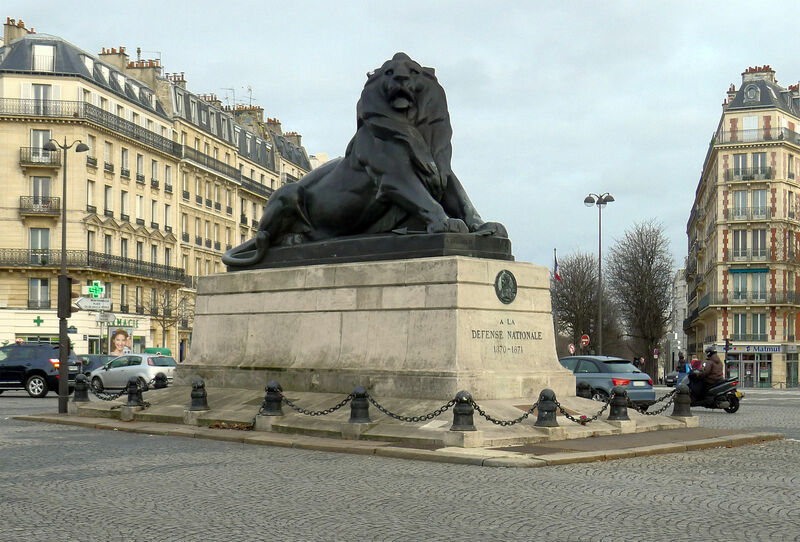 The Lion of Belfort is a bronze sculpture by Auguste Bartholdi situated at the middle of the square of Place Denfert-Rochereau in Paris (14th arrondissement). It is a smaller replica of the monumental statue carved out of the rock below the castle of Belfort 1). The statue is 4m high and 7m long and is one third the size of the original statue in Belfort. Frederic-Auguste Bartholdi, who is actually most famous for being the sculptor of the Statue of Liberty, presented the scale model of the Lion of Belfort in plaster at the 1878 Paris Salon, and this was subsequently purchased by the city of Paris for the sum of 20,000 French Francs. The Lion of Belfort symbolises the resistance of Colonel Denfert-Rochereau during the siege of Belfort (1870-1871). The heroic resistance echoed all around France and exemplified French courage and honour. Bartholdi, a native from Colmar in Alsace, described his monument as “a colossal lion, harried, driven back and still terrible in his fury”. 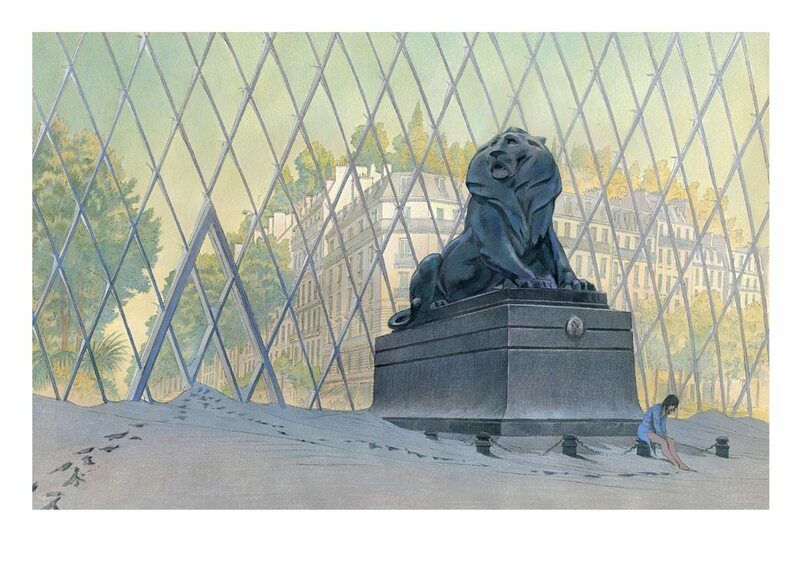 The Lion of Belfort can also be found in the second album of Revoir Paris. It looks to be at the edge of the preserved Paris 2).